For the third month in a row, Michelle of Galleysmith and I are doing joint review discussions. These are more in-depth than my usual reviews and discuss plot points in a non-spoilery way. We'll post about a different book every Thursday, and our first book is SKYLARK. Michelle and I decided to discuss four topics: Genre classification, Element of Surprise, Magic and Worldbuilding. The first two we discuss below, the second two we discuss over at Galleysmith. SKYLARK features a classic dystopian society in which most citizens, including Lark herself think they’re living in a utopia. Lark is even looking forward to her “harvest day” when she can rid herself of her childish magic and become an adult. Lark doesn’t know exactly what is outside the wall of her magically protected city, but she knows it’s certain death. So when Lark’s “harvest” reveals that her city’s architects don’t have her best interests at heart, Lark’s only choice is escape beyond the wall. The harvesting scenes were painful to read (in the sense that I felt so bad for Lark) and they reminded me a lot of The Matrix and Minority Report. After Lark leaves her city, the novel becomes a sort of quest across a post-apocalyptic wasteland with some very haunting scenes (the house which held memories of its occupants last moments, for example). Ohhh, yes. A very matrix vibe to be sure. But I also think there was an element of fantasy to it all. Particularly given the magic that Lark and others held. The use of technology that was so prevalent throughout too so it also held a bit of a the sci-fi vibe to it as well. Don’t even get me started on the whole harvesting thing. What a horrible experience. BUT, Spooner did a fantastic job of creating that creep factor and making us feel both the physical and emotional pain of it all. The atmosphere was great throughout. It was spooky and foreboding and brutal. I attended the YA Buzz Panel at BEA and Meagan’s editor spoke at length about how you get a sense that anything can happen - especially because Lark ends up having to kill a child to survive. I agree, I think the dark and spooky factor was high. The mix of genre focus was well done as well. I suspect I might classify this one as more of a suspense/thriller in order to classify it under one umbrella. It had so many moving parts in the genre focus that it’s hard to pinpoint it. I have to admit, I LOVE a book that can surprise me, and SKYLARK contains a huge mind-frak of a surprise - one that makes total sense when it happens but that I didn’t see coming. That's why SKYLARK earns the Zombie Chicken Merit Badge for Twists. Anna of Anna Reads Books told us in that taxi ride (from hell) to Brooklyn that she couldn’t stop thinking about the book thanks to the twist at the end, and that's what made me pick this one up. The beginning and the end are both so strong that in comparison, the slower paced middle sometimes seemed a big draggy. I’m with you on the draggishness. I found some of the longer descriptive portions of the book to be a bit much but, like you, I was glad to get to the parts in the Iron Wood. I kind of had a feeling about what the deal was going to be with Basil so I can’t say I was overwhelmingly surprised by that turn of events. But some of the other revelations were totally shock-worthy. I also liked that Lark was never quite sure who to trust. Would those in the Iron Wood seek to use her like those in her city? Why did the guy break her out? Is he part of the resistance or part of a larger, more sinister agenda? 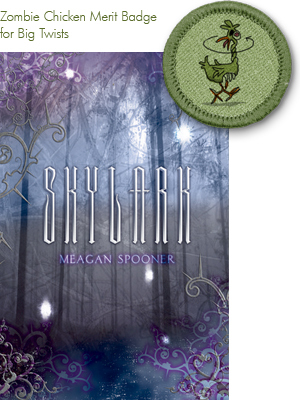 I have one hardcover copy of SKYLARK that can be personalized to you from Meagan up for grabs! To enter, fill out this form by August 10, 2012 at 11:59 pm CST. Open internationally. This sounds like one of those books that will leave you thinking about it for days after you read it. HAHAH that was the taxi ride from hell. But, hey, it was with you ladies, so it was worth it. MEMORIES! What a great discussion! I also think this one sounds rather fantastic, and the harvesting sounds like it would indeed be terrible. 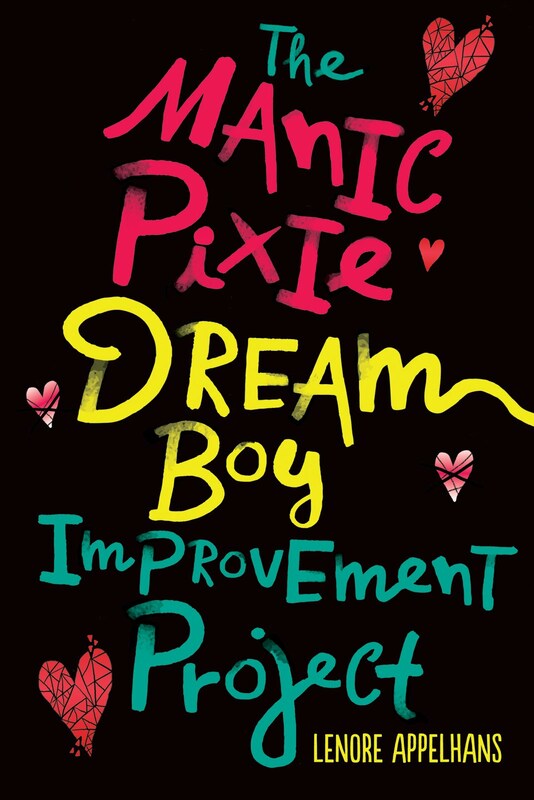 I would love to read this one when it comes out, so I will be looking for it. Thanks, you two! Interesting. It sounds a lot like Veronica Rossi's UNDER THE NEVER SKY. I'm in the middle of it right now, and Lark's character sounds exactly like Aria. For those who have read both, what are the differences between the two? Wasn't SKYLARK phenomenal? I loved it and Meghan is brutal with her characters. It's something I can readily applaud. There are far too many characters that get off way too easily nowadays. This sounds worth checking out. Great post!